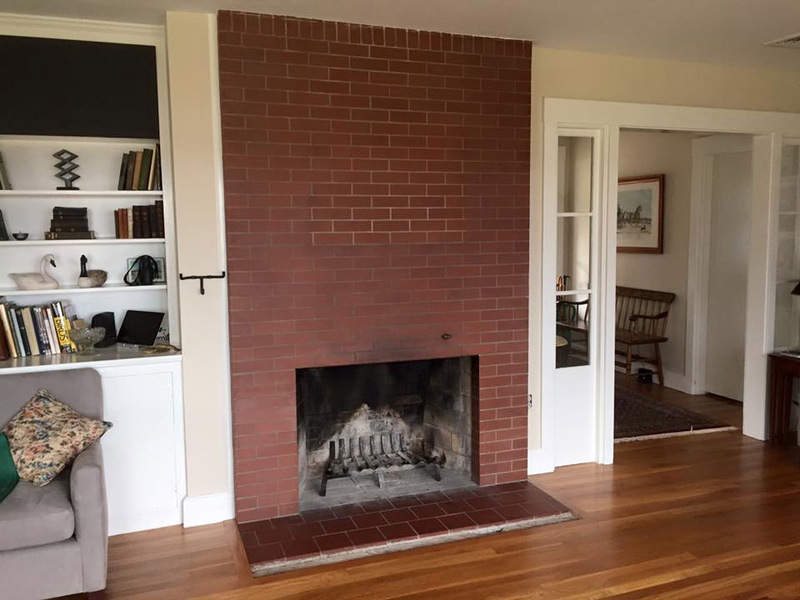 This mid-century home has a small modernist” fireplace with a brick surround, floor to ceiling, and the client contacted me about adding a traditional fireplace surround and mantle. 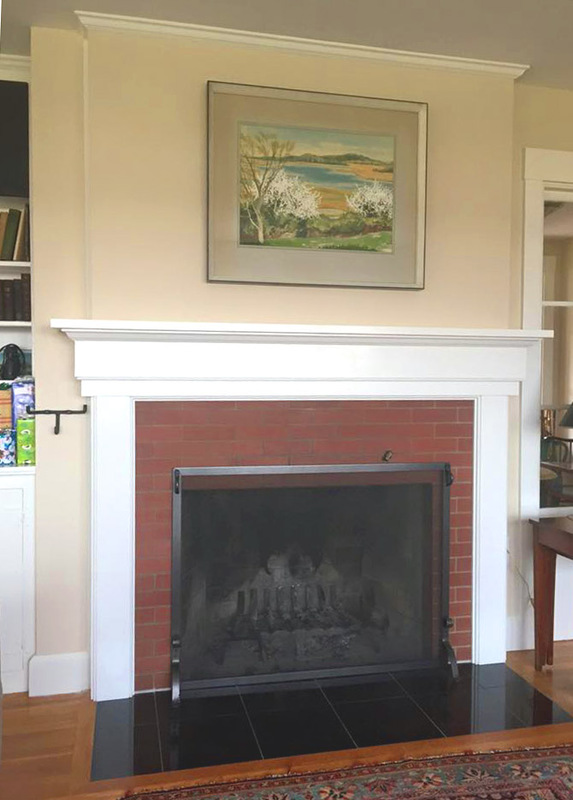 Her mason replaced the small brick hearth with dark tile, bedded in concrete and extending 20″ from the firebox, as required by the code. Fireplace surrounds must be compliant with the International Residential Building Code Section R1003.18, which indicates that 3/4″ wood trim may be applied 6″ from the firebox opening, and may protrude 1/8″ further for each additional 1 inch distance from the opening. The base layer of the surround is 1/2″ pine, attached to the bricks with Tapcon screws and construction adhesive. Additional layers hide the screw holes and provide depth to the unit. Cornice molding and custom beading soften the appearance and match woodwork throughout the house. 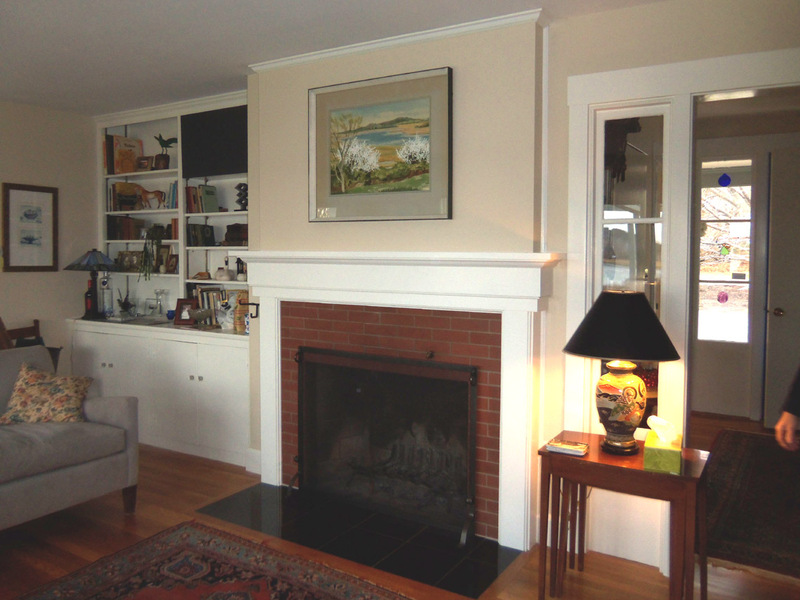 Above the mantle, I adhered “green” sheetrock directly to the brick face with construction adhesive, applied drywall corners and compound, and painted it to match the walls. A deck lost, and rebuilt!